Palau is considered to be rabies free by the Palau Bureau of Agriculture (BOA), and no known cases have ever been documented in Palau. Palau BOA regulations state that dogs and cats originating from a non-rabies free country, including the US mainland, must meet the entry requirements of the State of Hawaii or the equivalent as approved by BOA. Countries recognized as rabies-free by Palau include, but are not limited to, State of Hawaii, Territory of Guam, Australia, New Zealand, Japan, Taiwan & UK. Although Palau considers itself rabies free, it is not recognized as rabies free by other countries. This is important to consider when importing your pet if you intend to take it back to your country of origin. In general, at least 6 months preparation is necessary before a dog or cat can be imported into Palau from a non-rabies free country, following the State of Hawaii requirements. A BOA import permit is also required and the Quarantine office can be contacted at palauquarantine13@gmail.com or 680-587-2504. 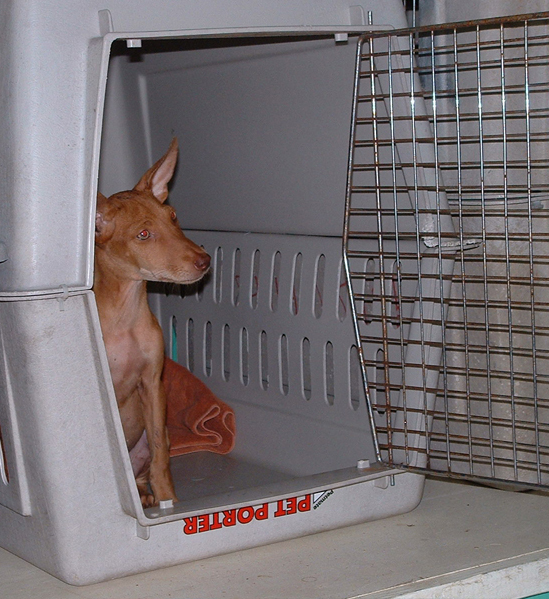 United Airlines routinely transports pets to Palau, via air cargo and has health certificate requirements. Meeting Palau entry and quarantine requirements are the responsibility of the pet owner, and not the airline. Although Palau considers itself rabies free, it is not recognized as rabies free by other countries. Dogs and cats going to the US mainland do not have to go through quarantine, as regulated by the US Dept. of Agriculture, APHIS. Generally, a rabies vaccination 30 days prior to travel and a health certificate within 10 days of travel are required. The State of Hawaii, however, does require dogs and cats entering from Palau to complete its full quarantine requirements, regardless if the animal completed them upon entry into Palau. The Territory of Guam requires dogs and cats entering from Palau to complete its full quarantine requirements, regardless if the animal completed them upon entry into Palau. Australia has a 10 day mandatory quarantine for entry of a dog or cat into the country. Please feel free to contact PAWS if you have specific questions not answered by the above web links. We need your help, either by adopting a dog from the Koror State Animal Shelter, or a cat from The Cat House in Ngiwal- 679-2191. PAWS is currently taking steps to provide veterinary services in Palau by opening an independent, low-cost vet clinic. Palau Animal Welfare Society staff focus their efforts on making lifetime, lasting relationships between animals and people. PAWS is supported by donations from the local community and tourists. PAWS never turns sick or injured animals away, but must cover these expenses through your generous contributions. Copyright © 2018 Palau Animal Welfare Society. All Rights Reserved.